Reducing the amount of fat in your milk can be accomplished by diluting your milk with water. 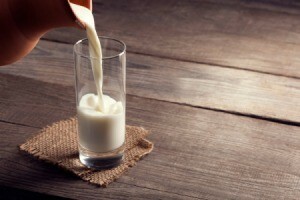 This page is about make your own 2% milk at home. I do not pay for the store to water down my milk, as in 2% and such. We found that we can do this at home. Buy whole milk and add cold water to it. Since this is a matter of taste, you will have to find what suits your family best. It is a great way to get more bang for the buck, plus my 8 year old who loves dairy does not know I am cutting out some of his milk fats. Also do not forget when you get deals on milk, add them to your freezer. I keep several gallons in the freezer. I dilute when I remove from the freezer and thaw in the fridge. If you are concerned about the fat levels in full cream milk, the most cost effective solution is to dilute whole homogenized milk 50/50 with water, rather than buying semi-skimmed. This means that you get twice the amount of milk for the same money. You can buy a big container and dilute half of it, saving the rest for children, who need the full fat version. If you prefer, you could also buy from Fairtrade sources which share more of their profits with farmers. The initial purchase will cost more, but you will still save money once you do your dilution. 1) Save the empty bottle from your most recent milk supply. 2) Sterilize it by pouring in boiling water to 1-2 cm depth, screw on bottle cap firmly, invert bottle once, turn right way up, unscrew cap and pour out hot water. 4) Half-fill bottle with full-fat milk and add cold water to top. 5) Refrigerate and use as normal.